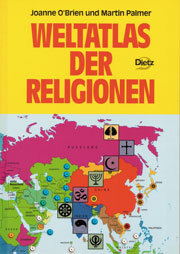 The world’s religions have emerged as one of the great geopolitical forces shaping our lives. Understanding these beliefs is crucial to understanding ethnic tension and the clash of cultures as well as being fundamental to world peace. Even where people have moved away from formal religious practices, the legacies of traditional beliefs continue to inform their sense of self, and their values and customs. 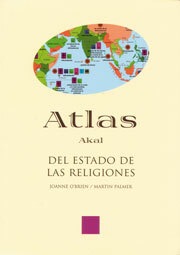 This atlas maps the current impact of major religions and their divisions. It shows country by country how religions spread their influence through broadcasting, missionary work, schooling and banking; how they relate to government, laws, and world hunger; and, the role they play in wars. 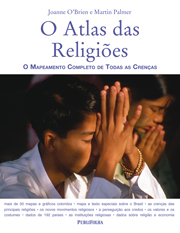 It traces the emergence of new religious movements, the survival of traditional beliefs,and the presence of atheism and agnosticism. 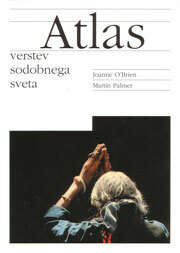 It also maps the origins of each of the major religions as well as their heartlands and the sacred places of the world. For essential background there is also a table on the fundamental beliefs of Buddhism, Christianity, Hinduism, Islam, Judaism, Sikhism and Taoism. The atlas supports the themes in Faith In Conservation and highlights the potential faith in groups for massive positive change. It is a unique collection of material which could be invaluable to researchers and writers in academia and the media. If one wants to know more about Christian Finance, Ethical Investment, Islamic Banking, the involvement of religious groups in environomental protection, [this] is the reference point. A fascinating and thoroughgoing snapshot of the world religions' contemporary dispersion, sociopolitical complexities, and global impact. A comprehensive, reliable and useful picture of the state of religion in our world today...A valuable addition to the books for those engaged in inter-faith work, and deserves a wide welcome. Offers a fascinating and thoroughgoing snapshot of the world religions' contemporary dispersion, sociopolitical complexities, and global impact. 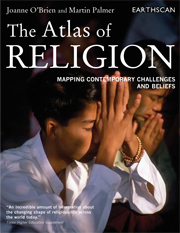 In more than 30 maps and diagrams, the atlas identifies fundamental religious characteristics and presents each religion's location and density within political boundaries. It also addresses many relevant but ancillary issues, such as geographically determined religious fault lines. Easy-to-read charts and strong use of color expedite comprehension. Highly recommended for public libraries and collections focusing on religion, political science, and cultural studies. 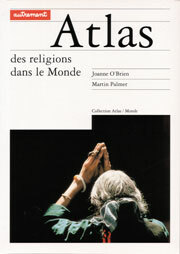 An incredible amount of information about the changing shape of religious life across the world today...It is a genuine attempt at a multi-religious overview of the world.